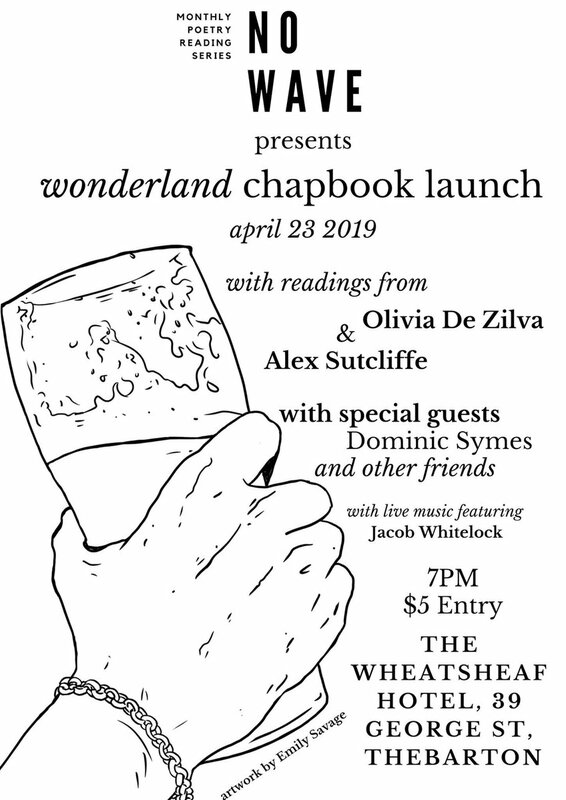 Local emerging poets Olivia De Zilva and Alex Sutcliffe launch their first chapbook “wonderland” at NO WAVE Adelaide. Tuesday 23 April 2019, 7:00 PM at the Wheatsheaf Hotel, 39 George Street, Adelaide. NO WAVE is a testing ground for new work and plays an important role in the creative development of local poets. The readings are primarily concerned with raising the profile of poetry in Adelaide, showcasing the best local talent by creating a space for diverse voices to take their craft into new and exciting places. Equally, the readings are an occasion for local poets to gather in order to encourage collaboration and enhance the sense of community surrounding poetry in Adelaide.